Healthy grains are the seeds of civilisation and are among some of the earliest foods cultivated by man. Wheat and barley were grown in ancient Egypt and later in Greece and Rome, rice in Asia, maize or corn in the Americas, rye in Europe and millet in Africa and parts of Asia. It’s not hard to see why they were so popular. They are easy to grow, have excellent keeping qualities, are filling, healthy and highly nutritious. 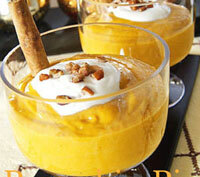 Today we are re-discovering these foods. 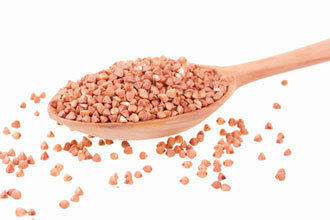 As we become more focused on eating healthy, these healthy grains are becoming more popular. Grains are the seeds of certain plants, where the hard outer husk is removed leaving the edible grain. Unrefined or whole grains contain all three parts of the grain: the outer bran layer, the inner germ and the starchy endosperm. 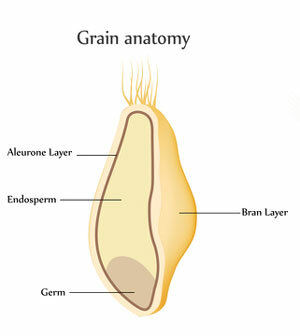 Refined grains have the bran and germ removed, leaving just the endosperm. These contain the least vitamins and minerals. This list is by no means complete, but highlights some of the most popular grains used today. Barley is one of the oldest known grains dating back more than 10,000 years in South East Asia. 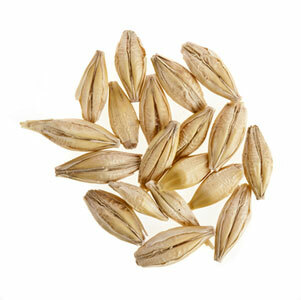 Hulled barley is produced by removing the inedible outer hull. Pearl barley is hulled barley with the bran removed and the grain polished. Less chewy and faster to cook than hulled barley, it is the most common. Scotch or pot barley has the outer hull removed by polishing but is less polished and more nutritious than pearl barley and is popular is soups. Barley is rich in beta-glucan fiber, which helps reduce cholesterol and lowers the risk of heart disease. 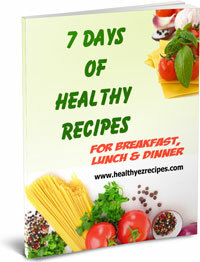 It also contains insoluble fiber, which reduces the risk of cancers such as colon cancer. Probably the most versatile of the healthy grains, oats can be found in various forms, such as groats, steel-cut oats, rolled (porridge) oats, quick oats, instant oats oat bran and oat flour. Oats contain more soluble fiber than any other grain. The soluble fiber present in oats results in slower digestion leaving you feeling full longer. 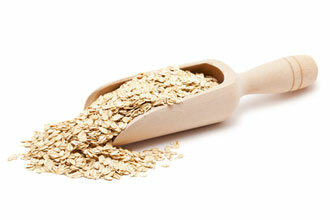 Oats contain iron, manganese, zinc, vitamin E, folate, B vitamins, phosphorus, selenium and antioxidants. 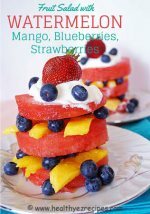 They are known to reduce blood sugar and insulin levels so are important in controlling diabetes. 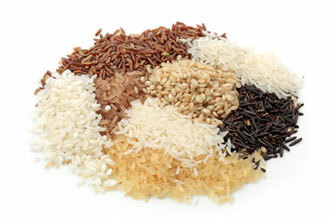 One of the world’s oldest and best known grains, rice is a staple food for over half the world’s population. White rice has been milled and polished and the husk, bran and germ removed. One way to add some of the nutrients back is to serve white rice with legumes. Brown rice has a delicious nutty taste and three times the fiber of white rice. This is because brown rice contains the whole grain with only the inedible outer husk removed. Rye resembles wheat, but the kernels are smaller and much darker than wheat kernels. Flour made from rye is used to make bread, including pumpernickel and some crispbreads. 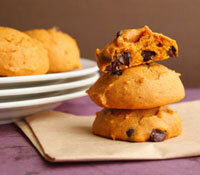 Although because of its strong flavor, it is usually mixed with wheat flour. An excellent source of fiber, vitamins and minerals. Rye can help lower the risk of heart disease and may help protect against breast and prostate cancer. One of the first foods ever to be cultivated by man, wheat production is today one of the world’s largest cereal crops, second only to maize. Wheat produces a range of staple foods, including breads, breakfast cereals, pasta and noodles. After milling, wheat grains are separated into their three parts – the endosperm, the fibrous outer bran layers and the oil-rich germ. The germ is the embryo part of the kernel where the sprout originates. Also called wheat germ it is rich in nutrients and considered one of the superfoods. The starchy inner endosperm goes on to become white flour. Flour that uses the whole kernel is known as whole wheat flour. Wheat bran is the by-product, after the kernel has been processed, of the outer bran layer. While wheat is still very healthy, it is recommended that you choose the whole grain versions of wheat products. Buckwheat is traditional in eastern European cooking. 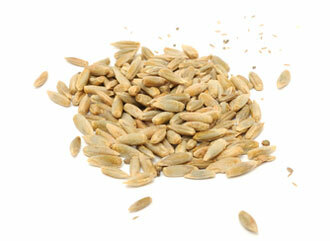 In spite of its name it is not a type of wheat, but the seed of a plant related to rhubarb and sorrel. 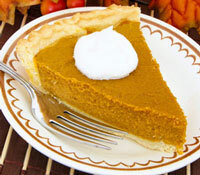 As it is gluten-free it is often used as a substitute for wheat or gluten. A good source of carbohydrates, protein, B group vitamins, magnesium and iron, it also contains rutin, which is believed to help lower cholesterol and reduce blood pressure. Chia is actually a herb, but it’s the edible seeds which are used. Chia was a staple food for the Aztecs and Myans. 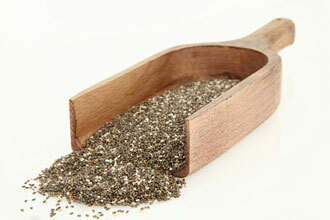 Chia seeds are tiny, similar in size to sesame or poppy seeds. Big on fiber, low in carbohydrates, chia is rich in protein and an excellent source of vitamins and minerals, including calcium, iron, magnesium, phosphorus and potassium. Quinoa (pronounced keen-wah) is an ancient grain originating in South America and was once the staple food of the Incas. Quinoa has recently been re-discovered and is becoming more and more popular due to its nutritional benefits. 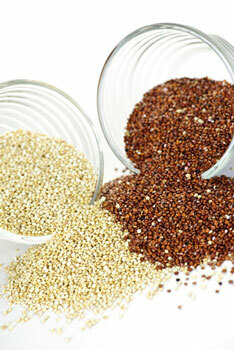 A small, round grain that is quick-cooking, quinoa is available in various forms: as a whole grain, flakes and flour. Quinoa has many health benefits. Gluten and wheat-free it is an excellent source of low-GI carbohydrates, fiber and is rich in protein as well as containing B vitamins and minerals including iron, phosphorus, magnesium and zinc. Quinoa has been linked to reducing the risk of cardiovascular disease, certain cancers and type 2 diabetes. While all grains are good for us, it is whole grains that we should be embracing. 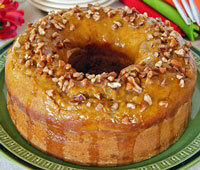 Whole grains are grains that have not been refined, that is the whole grain is left intact. Because whole grains contain the entire kernel, including the outer bran layer and the germ, they contain many more health benefits. 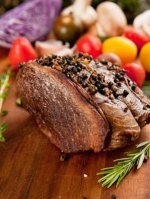 With their proven nutritional advantages and health benefits, you have to wonder why we don’t eat more of these foods. But I believe that this is changing as we slowly move away from our high fat, sugary diets.